HAGERSTOWN, MARYLAND, UNITED STATES, December 22, 2017 /EINPresswire.com/ — All families have issues they can't solve alone. Why don't we get together with somebody who can help us to talk to each other without fighting or storming out the door? 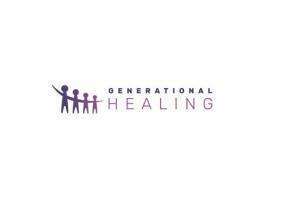 Hilde K. Wiemann is the founder of Generational Healing, a coaching practice specializing in two-day intensive family healing sessions. Wiemann was introduced to this work through her experience with her own family. In session, each family member shares their stories, what they’ve experienced and how they responded to their circumstances. There's a protocol where each person talks to family members one-on-one, while the others listen. Children are free to express their mood, anger, frustration, grief. Wiemann creates a safe environment for what is often a deeply emotional, revelatory experience. The whole family dynamic needs to be addressed when there are issues, says Wiemann. You have to look at the system, the culture, what position each person carries, and how they communicate with each other. Do they have family meetings? Do they have some kind of plan for the highs and lows in their life? 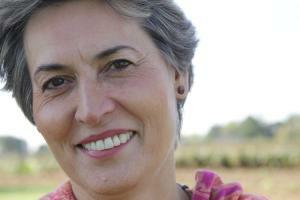 CUTV News Radio will feature Hilde K. Wiemann in an interview with Doug Llewelyn on December 27th at 11am EST. NEW YORK, NEW YORK, UNITED STATES, December 13, 2017 /EINPresswire.com/ — During the holiday season, parents of special needs children are often depressed and isolated. Many feel as though a spotlight is being shined on their lives, and that their families fail to measure up to the so-called "normal" families depicted in movies, TV shows and ads. This can create feelings of guilt, loneliness and stress that can take all the joy out of the holidays. 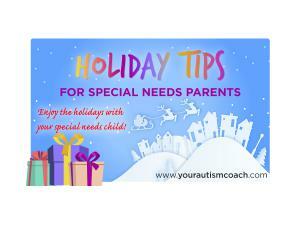 "This complimentary guide offers ten proven tips to help special needs parents during the holidays. With planning, realistic expectations and a positive attitude, parents can reduce holiday stress and create a better experience for the entire family," said Deanna Picon, founder of Your Autism Coach, LLC and author of The Autism Parents' Guide To Reclaiming Your Life. The guide is available at no cost by downloading it at www.yourautismcoach.com. • Don't isolate yourself. Your family and friends don't like or love you less because you have a child with special needs. In fact, they probably respect and admire you more than ever after seeing how difficult it can be to raise a child with a disability. Don't shut these people out of your life, and don't shut yourself in. Call for a quick chat or send a friendly text. Spending time with those who care for you will make you feel good and recharge your batteries. • Ask for help when you need it. This season is the best time for seeking extra aid. Many people have time off from work and are full of the giving spirit, making this the perfect time to ask for a little help. Allowing others to assist you will also make them feel good about the holidays. • Go where you're comfortable. Attend holiday events and functions where you and your family feel at ease. The same principle applies to entertaining at home. Invite those who understand your child's condition and support your family. • Enjoy the gift of "personal time". When family and friends ask what you want for a gift, do yourself a big favor by requesting a few hours of "me time" or "couple time." Do something that you truly enjoy, or simply never get the chance to do in your busy life. Let them come over to take care of your son or daughter in your home. You'll know your child is safe and well-cared for, and there's no child care costs. Does life get any better than this? • Give yourself permission to have some fun. Special needs parents may feel guilty for a having a good time over the holidays, even if it's only for a couple of hours. But there is no reason to feel guilty. A bit of enjoyment is good for you, and believe it or not, beneficial for your child. So make sure you've got child care arrangements you have confidence in, then go to that dinner with friends, that office function or that holiday party. It will do wonders for your emotional outlook to unload the weight of your responsibilities for a short time. Your Autism Coach, LLC provides personalized guidance, comprehensive support programs and seminars that address the concerns of special needs parents. 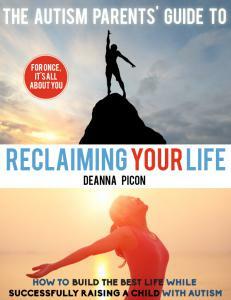 Now on Twitter (@yourautismcoach), look for the latest parenting tips and advice from Deanna Picon. She shows parents how to overcome the challenges of raising a child with special needs, while building a rewarding life for themselves. Deanna is the recipient of the 2015 "Top Life Coach Writer" Award from Autism Parenting Magazine. 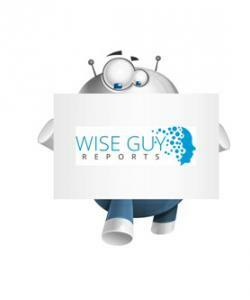 WiseGuyReports.Com Publish a New Market Research Report On – “Consumer Lifestyles in India 2017 Market Size,Status,Analysis and Forecast to 2021”. Consumer confidence is improving since the government’s decision to remove high-value notes from circulation in November 2016. At the same time, rural consumers are coming to the forefront, be it via the Internet or through their television sets. Demographic trends are dominated by two key factors—declining birth rates and a fast-growing older population. Lifestyles in India report analyses factors influencing national consumer expenditure. Consumer lifestyles reports include coverage of: population, urban development, home ownership, household profiles, labour, income, consumer and family expenditure, health, education, eating habits, drinking habits, shopping habits, personal grooming, clothing, leisure habits, savings and investments, media, communication, transport and travel and tourism. Use this report to understand the factors influencing a nation's lifestyle choices.